This pretty plant appears in a variety of flower colours - yellowish-white as well as pink or mauve - and can be found throughout the Mediterranean region. The plant is roughly hairy and short to medium in height, depending on how exposed the habitat is. 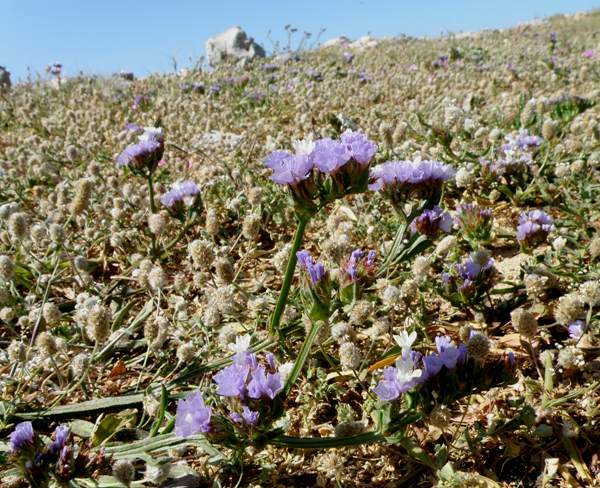 It grows in saline conditions in sand and rocks close to the coast. 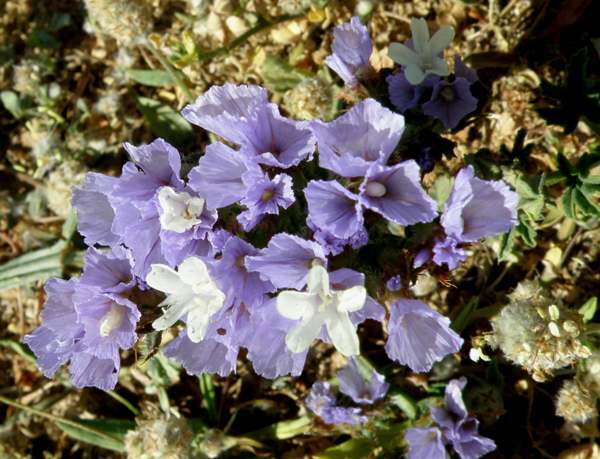 This attractive wildflower has an unusually long flowering time and can be found from March right through to September. The specimens shown on this page were photographed on the northern coast of Crete in early April.